Our value set is comprised of high quality synthetic high density foam. Durability as well as retention of original characteristics is a key factor of resiliency in high density foam. Feels similar to a current traditional type mattress. High density foam mattress comes in soft, medium or firm in 7" thickness. 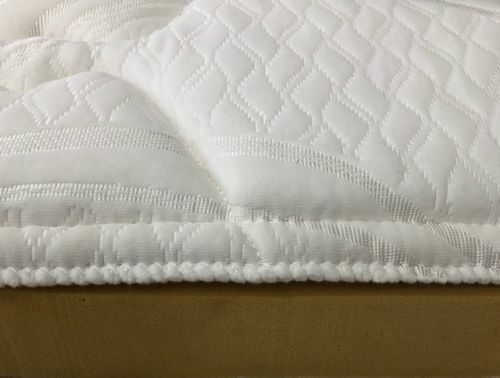 This type of foam is wrapped in cotton, covered in 100% cotton ticking and lace tufted by hand as our all natural mattresses. Optional Base: Heavy duty foundations (wood no flexibility) cotton upholstered. These foundations are made of solid wood on top and bottom for secure support. Cotton upholstered with a layer of cotton which is then covered in cotton ticking. Heavy duty coil box springs (flexible Coil system) is a second choice. These sections are made of solid wood in the middle and lower portion of the box springs. A coil spring is then stapled down to the top of the solid wood base. Cotton upholstered with a layer of cotton which is then covered in cotton ticking. For 6' - 8' diameters the foundations/box springs are semi circle - two piece. Larger sizes come in four piecesectional. *****If you would like a round removable pillow top, please order from our toppers catagory. Please Note ** to ensure proper ordering, please select your mattress size below. If a box spring is needed, please choose the equivalent size as mattress. Price will adjust accordingly. Additional box springs can be purchased from the box spring category.